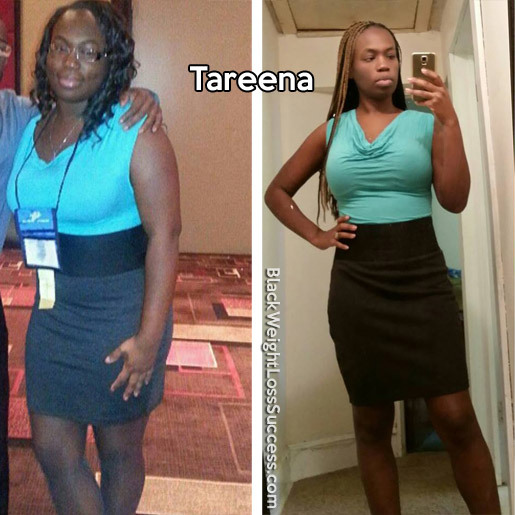 May 2016 Update – Tareena kept off the 63 pounds she lost a year ago and lost 4 additional pounds. I have a new update to share. I am still going strong, exercising at home and watching what I eat instead of dieting. I currently weigh 153 pounds, down from my highest weigh of 220 pounds. 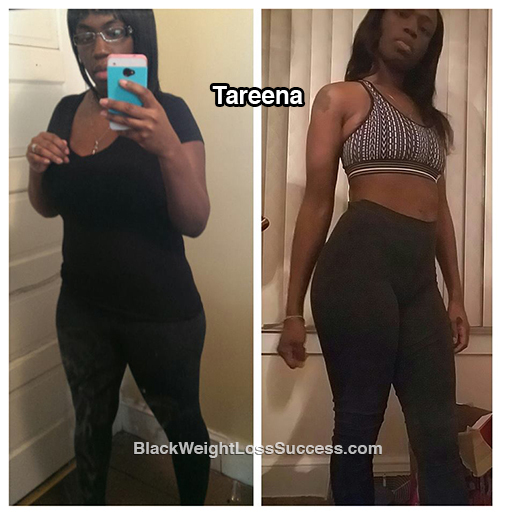 Oct 2015 Update – Tareena lost 3 more pounds and is working on strength training. I would like to share my weight loss journey. I am a mom of three, ages 11, 7, and 6 years old. I have battled with my weight since the birth of my last child. 5 months ago, I decided to get real and act right. I changed my diet and really started working out hard!! I have lost a total of 60 lbs! I’ve been on this journey from 2013 to today. I plan to keep it up and never go back! Thank you for creating your Facebook page it is such a positive thing to see our queens being more than they make us out to be. My motivation was the naysayers at first, those who told me to just accept the fact that I was a mom that would never be in shape because this is what mom’s look like. Then it became just wanting to be healthier for my husband and kids. I was tired of being unhappy with my body. Although I acted as if I was ok with it, I was not! I started with cutting out fast food completely. I have not had any type of potato product in a year and a half. No chips, fries, nothing! After crash dieting, I realized that yes I was losing but it was not healthy so I began following healthy portion sizes and I still am. Took away pies and ice-cream and changed it to fruits. Also, I don’t drink soda or juice, just water and green tea. I work out at home for 30 mins to an hour everyday. I started off with Hip Hop Abs in October 2014 then around December I started doing routines from YouTube. Now I do my own routine which is a combination of different videos from YouTube. 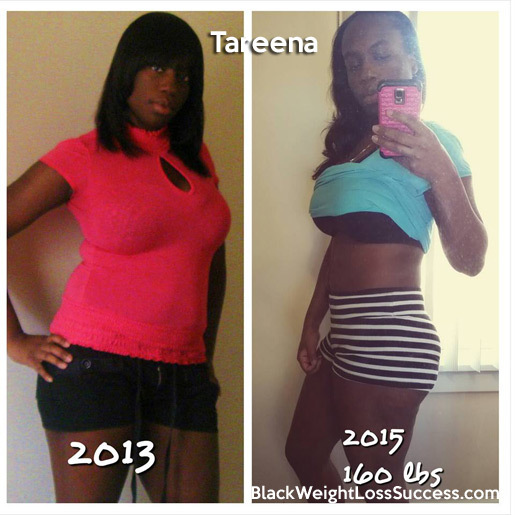 My starting weight was 220 pounds and that was my heaviest, wearing a size 14. I am currently 160 pounds and wearing a size 8-10 at 5’8″ tall. 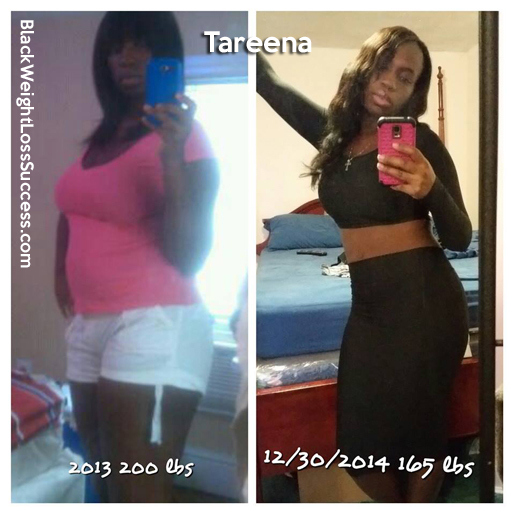 I am glad you did not listen to the naysayers Tareena. Great job and keep up the good work!